The new legislation is under heightened scrutiny, because Commission First Vice-President Frans Timmermans, in charge of “better regulation”, had promised the new package would be “more ambitious” than its predecessor. But the new package has lower 2030 targets for recycling municipal and packaging waste. For municipal waste, the new target is 65%, rather than 70%, and for packaging it is 75% rather than 80%. The old bill, put forward by the previous Barroso Commission, was binned despite the protests of many members of the European Parliament and EU environment ministers. MEPs and the Council of Ministers must eventually agree on an identical bill before it can become law. Timmermans said that the targets could be revised upwards in the future. “If we see that we are on the way to easily reach that target, we will increase our ambition to 70% and beyond, if that is possible,” he said. Commission President Jean-Claude Juncker’s right-hand man pointed to aspects in the new package, outlined in an action plan, rather than a legislative proposal, that aim to encourage better design of products to facilitate easy recycling. The Commission is particularly keen to stress its mandatory target of reducing landfill to 10% by 2030. The old package had an “aspirational” target of 25% by 2025. But it also had a 2030 total ban on landfill of recyclable and compostable waste. Commission officials confirmed the 10% goal would include those types of waste. But the new proposal banned landfilling waste which has already been separated and sorted for recycling, they said. Timmermans said that landfill was one of the EU’s biggest waste challenges, and that the 10% target would be difficult for many member states to hit. He said it would be “very unfair” to describe the new package as less ambitious simply because the recycling targets were 5% lower. The legally binding landfill target, eco-design and the fact there was a plan setting out a roadmap for progress and enforcement also needed to me taken it account, he added. The new package also drops food waste targets, citing the precedence of internationally agreed Sustainable Development Goals, and targets for resource efficiency. The action plan sets out specific strategies for sectors, such as plastics and construction and demolition waste, and to stamp out planned obsolescence of productions, which bolsters Timmerman’s argument. But MEPs and environmental campaigners were not convinced, pointing to the lower targets in hard, binding legislation (see Positions for more reaction). Timmermans had asked MEPs after ditching the package to give him a chance to prove them wrong. The European Greens today said Timmermans had broken his promise. EPP lawmaker Sirpa Pietikäinen (Kansallinen Kokoomus), wrote a report calling for a total landfill ban, and said the new package “fell short”. The European Conservatives and Reformists group’s Julie Girling, a lead MEP on the old bill, said, “It needs to be ambitious, but find balance, so we can tackle the transition to a more sustainable future, tackling climate change and energy needs whilst stimulating EU jobs and economic growth. The better regulation strategy has been dogged by accusations it masks a pro-business agenda that drives down environmental standards. Lobby organisation BusinessEurope welcomed the new package as a good step to good step to support business in this “long-term transition agenda”. EURACTIV exclusively revealed that lobby organisation BusinessEurope had written to Timmermans, asking for the Circular Economy package to be killed off, before the decision to wield the axe was taken. EURACTIV revealed earlier today that the weaker recycling targets would cost 110,000 jobs in the UK, Germany, Poland and Italy. Howard Chase, director of Government Affairs Europe for The Dow Chemical Company, said, "As with any such proposals, the details are important. Recycling targets, in particular, must be calibrated to ensure they promote rather than hinder sustainability, and it is right that the proposal does not take a ‘one-size-fits-all’ approach. "What is technologically and economically feasible today will evolve over time thanks to innovation. For example, today there is an optimum point beyond which it is less resource efficient to recycle than it is to incinerate certain plastics for energy recovery. It will be important to ensure that recycling targets take factors such as energy recovery from waste fully into account." European Aluminium director-general Gerd Götz said, "To build a European circular economy, we have to think global. Every year, about one million tonnes of aluminium scrap leave Europe to be recycled in other parts of the world. This is an economic waste that makes us reliant on imports and could be avoided through greater investment in collection and sorting infrastructure. Exporting scrap is also exporting the energy embedded in the metal. Recycling these one million tonnes of aluminium scrap in Europe would be equivalent to saving the annual energy consumption of countries such as Latvia or Luxembourg." "There has been much discussion about the level of ambition of this package following last year's withdrawal, but fundamentally EU legislation must be workable if it is to accomplish its objectives. The Commission proposal recognizes this on the whole and we hope that the co-legislators will show similar pragmatism and deliver a package that is beneficial for Europe, both environmentally and economically", said Arnaldo Abruzzini, Secretary General of Eurochambres. “Our expectations have been met. This major policy initiative has correctly identified the synergies needed to find real solutions. The package has reached a level of ambition rarely seen in policymaking,” says Marco Mensink, Confederation of European Paper Industries director general. Emma Priestland, Seas At Risk Marine Litter policy officer said, "After a year of uncertainty regarding the status of the marine litter reduction target, we are relieved to see that the Commission will still work on making it operational, as this is a vital step for ensuring Europe stops polluting the oceans with waste. However, as the Commission had promised to come up with a more ambitious package than the previous, it is a shame they did not take the opportunity to increase the target from 30% to 50% as the Parliament requested." “We must now build on our earlier progress and put in place a sustainable and well-functioning European market for recycled materials based on the new Circular Economy Package. If we are to stay competitive in Europe, create more jobs, and boost our economies, we must reduce our dependence on imported raw materials and energy. 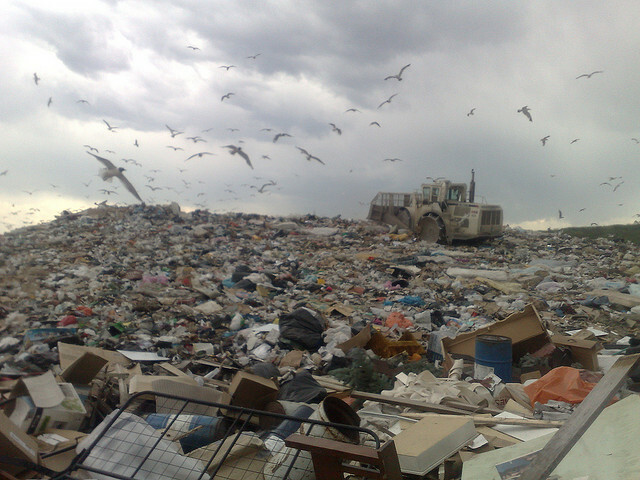 We must start to recycle, re-use, and recover what we dispose of,” said European People's Party President Joseph Daul.